Drive home in your new pre-owned vehicle with the knowledge you're fully backed by the CARFAX Buyback Guarantee. This well-maintained Audi Q5 Premium Plus comes complete with a CARFAX one-owner history report. This Audi Q5 Premium Plus is an incredibly versatile vehicle that is a must have for any family. For those who are ready to drive something more than just a car, this Audi Q5 Premium Plus will appeal to their idea of luxury and refinement. All-wheel drive means peace of mind all the time. This Mythos Black Metallic AWD Audi enjoys a host offeatures, including exceptional acceleration and superior stability so you can drive with confidence. It's not often you find just the vehicle you are looking for AND with low mileage. This is your chance to take home a gently used and barely driven Audi Q5. 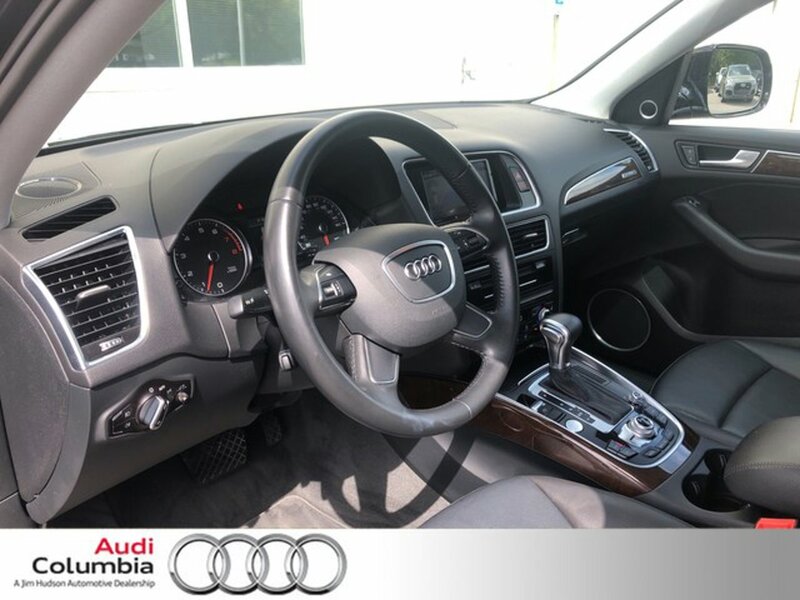 Marked by excellent quality and features with unmistakable refined leather interior that added value and class to the Audi Q5 Time is money, and thanks to the navigation system on this Audi Q5, you'll be spending a whole lot less time getting to your destination. Stupendously fast, yet subtle at the same time, this Audi Q5 Premium Plus sets the bar high. A true automotive masterpiece, this Audi can function on track-day or work-day, and will always get you to your destination very quick. We are proud to offer this 2016 Audi that truly a must-have. This vehicle's wheels are one of the many attractive features that this Q5 Premium Plus has to offer.